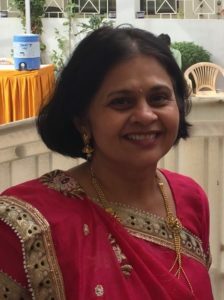 Kaajal has been in Cary since 1992 except for a short period where she was in Pennsylvania. Kaajal works at SAS Institute as Software Developer. She is married to Pratik. They are proud parents of twin daughters, Payal and Parin, and a son Kawan. Kaajal has been volunteering with Hum Sub since 2006. She enjoys spending time with friends and family. class="pirenko_team_member-template-default single single-pirenko_team_member postid-3176 samba_theme samba_left_nav samba_left_align samba_responsive ecwd-theme-samba wpb-js-composer js-comp-ver-5.4.5 vc_responsive"